Inspired by the Guyanese flavours they grew up on and a desire to educate their peers, two Toronto based sisters saw a need in the community to teach young people healthy cooking essentials. Today, Celeste & Crystal run workshops and cooking programs that prove healthy food can really be delicious through their charity Sacraspice. We chatted with them to learn more about their mission in food. Check it out. 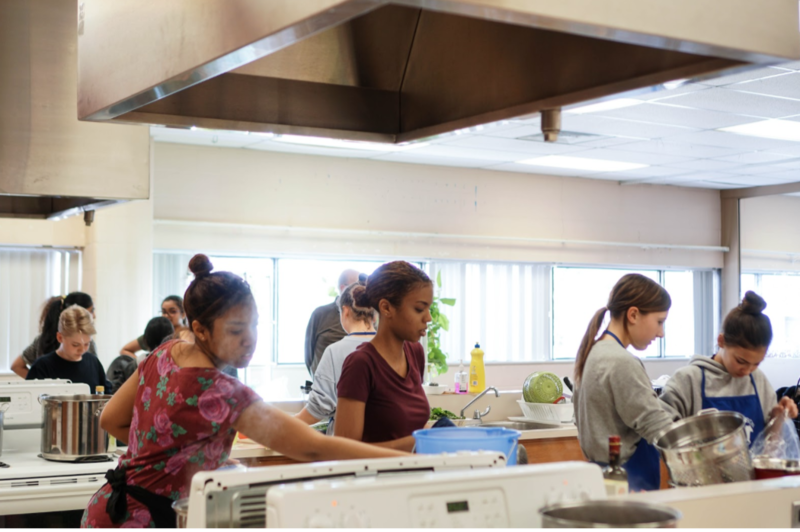 Sacraspice Community Services is a Toronto charity that teaches youth fundamental cooking skills. We work in middle schools to demonstrate how cooking can be fun, nutritious, and tasty. 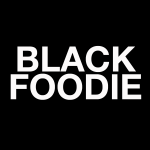 We make bold and healthy spins on popular dishes and take inspiration from a variety of cuisines and cultures to create “fusion-forward” dishes. 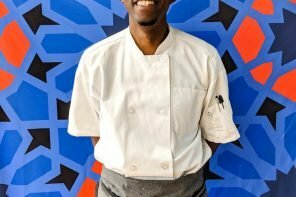 This summer, we are hosting a cooking skills program where marginalized youth can learn intermediate cooking skills, go on culinary arts related excursions in the city, cater for community events, and earn money. Students present their finished dishes to workshop participants who were ready to chow down! 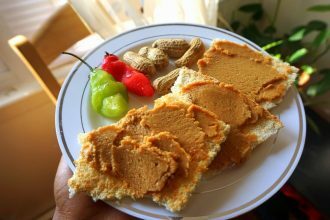 Growing up, our home was filled with aromas from around the world, thanks to the multicultural flavours from our parents’ mother country, Guyana. We would spend almost every weekend with our mom in the kitchen, helping her to chop up ingredients for soups, stews and curries. While we were accustomed to preparing our own nutritious lunches for school, we would go to school and see our peers buy junk food nearly every day. We came to the realization that not every young person was equipped with the skills they needed to identify nutritional foods and to cook for themselves. 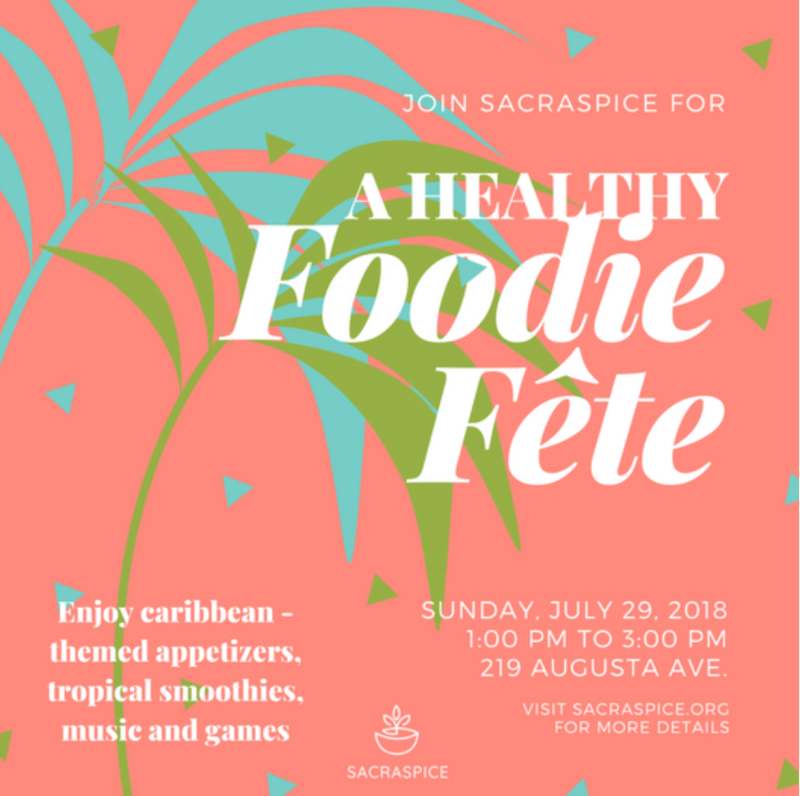 We started Sacraspice to get students in the kitchen, give them an appreciation for the joy of home-cooking, and to show them that eating healthy doesn’t have to be bland or boring. Where did you both learn to cook? Our love for cooking was ignited at home in the kitchen. We were lucky to be encouraged to cook for our family from a young age. We later went to George Brown College and completed a Culinary Arts program. What’s your favourite Caribbean healthy remixed meal? 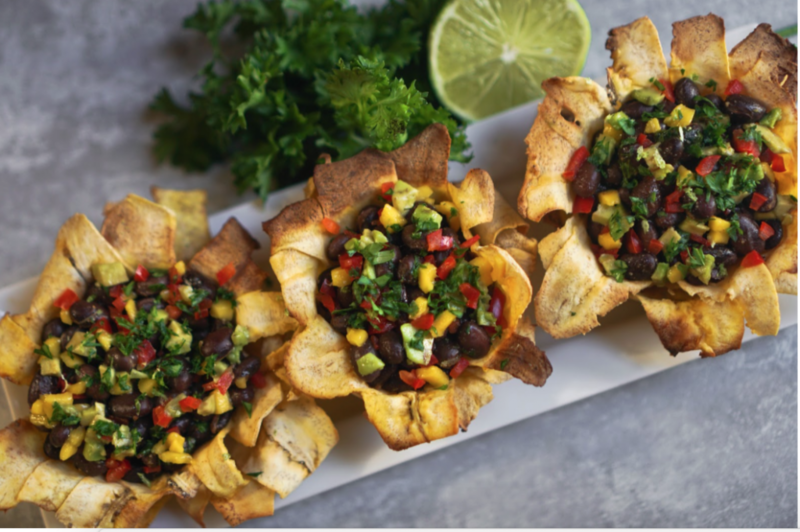 One of our favourites is plantain cups filled with jerk black beans and topped with avocado, mango, red peppers and cilantro. It’s refreshing, healthy, and delicious! Tell us more about your upcoming pop up event. 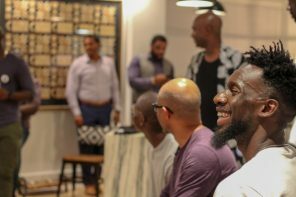 With Caribana coming up, we thought what better way to celebrate than host a Caribbean-themed pop-up led by the students in our cooking skills program. Stop by Kensington Market for this month’s Pedestrian Sunday. We will have Caribbean-themed vegan appetizers, music, a classic game of dominoes, and tropical smoothies – all facilitated by the students in our 2018 Bringing Healthy Back Youth Catering Program. Visit us at the Youth Arcade Studio on 219 Augusta Ave. from 1-3pm for some fun in the sun. How can our readers support Sacraspice? They can check out our work at www.sacraspice.org, like us on Facebook and follow us on Twitter and Instagram @Sacraspice. We welcome you all to stop by our pop-up this Sunday! 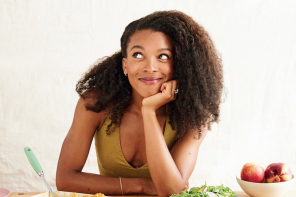 Previous article14 Black Vegan YouTubers You Need to Subscribe To!